We’re making progress with the 8 drawer tall dresser I’m building for my daughter Madison. 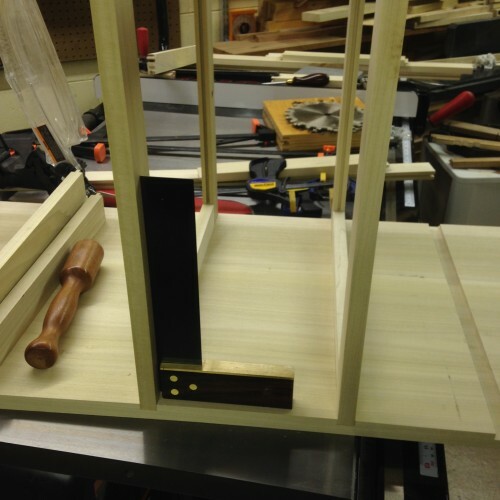 In today’s episode we’re moving on to building the drawer frames for the dresser. Drawer frames are a crucial component in the overall body of the dresser, and while most probably won’t notice them in their entirety (other than the edge of the front facing rail) it’s still important to make sure they’re well constructed. There are a number of joinery options to choose from, including non-traditional joinery such as pocket-holes (which is actually what I was originally planning to use.) But the joinery I decided to use in this build was a traditional tongue and groove joint. More clamps just seems to obvious LOL! But secretly…I ran out afterwards and did…more to come on that in another episode.